Vote on New Starbucks Logo – StratGo Marketing. Plug-in marketing department services. There’s an old saying in marketing circles, often used sarcastically: “Everyone wants to be the Brand Manager.” Well, today it’s your turn!Starbucks CEO Howard Schultz unveiled a new corporate logo in a January 5th blog post and video posted on the company Web site. 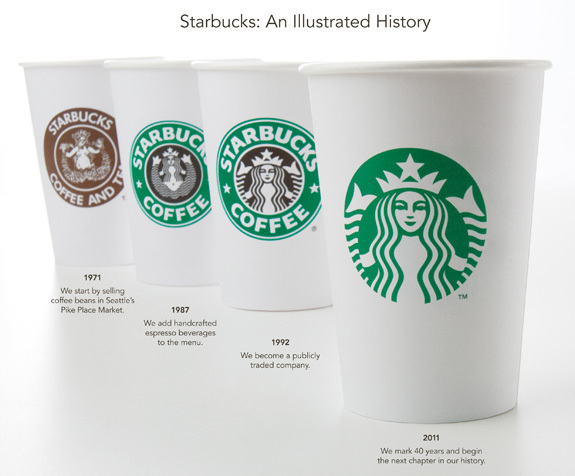 Logo decisions are always difficult and challenging, especially for iconic brands such as Starbucks. Whether starting from scratch or tinkering with existing logos, make sure you have clearly articulated objectives detailed in a written marketing brief! That’s all for now, because we want to hear from you. Check out the new Starbucks logo and then take our poll below. It’s definitely a bold move by Starbucks. Personally I like the new logo, for more reasons than it looks better! I’ve discussed this in more detail on my marketing blog, Marketing Geekly.